Let us say we have a product on which you want to offer 10% discount, when the product reaches a total worth $100 or more. You can set this using Product Rules. To do this, go to WooCommerce > Dynamic Pricing > Discount Rules > Product Rules. As shown in the screenshot above, add a new product rule. Set a custom offer name, select product(s), set the rule to be checked for Price attribute, and specify the minimum price value as $100. For discount, select Percent discount option, and enter the value as 10 (indicating 10% discount). Configure other desired settings (discount validity period, restriction, maximum discount, etc), and saved the settings. Now, moving to front-end of the store. Let’s buy a product and try out the offer we have just saved. 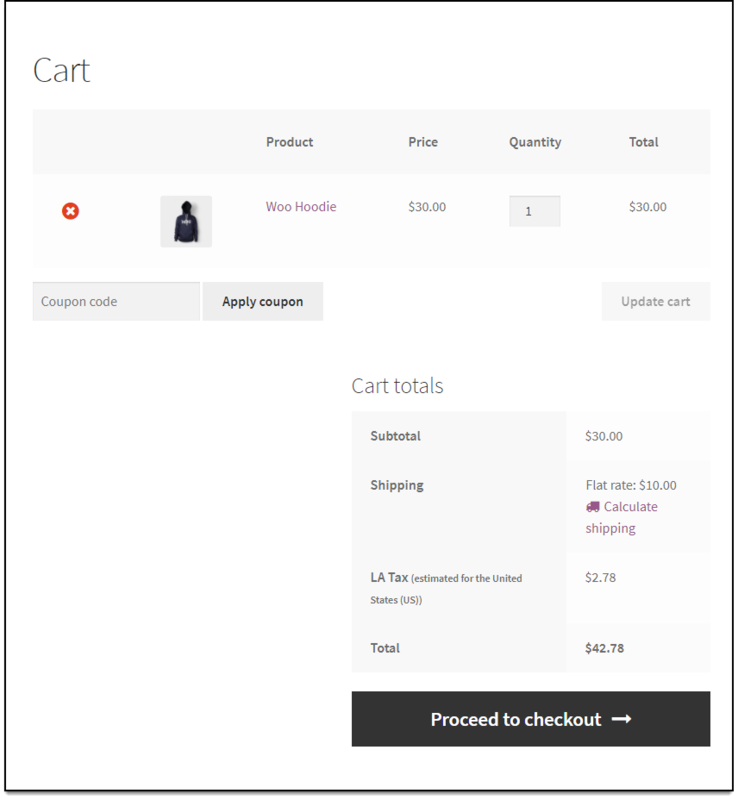 Add the respective product to the cart, as shown in the screenshot below. 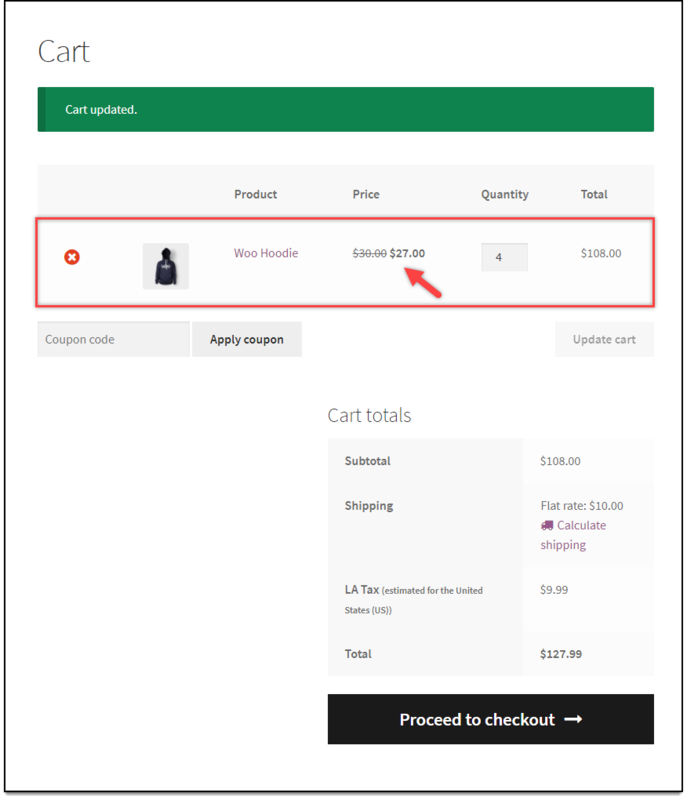 Increase the quantity of the product, to reach the minimum discount value, which is $100, as shown in the screenshot below. Hence, in this way we can achieve our discount requirement.